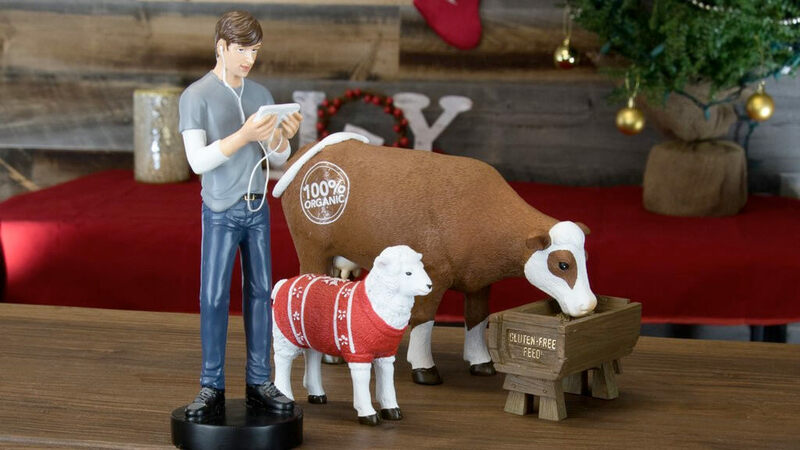 An American company called Modern Nativity is reinventing the Nativity by giving it a modern-day twist. 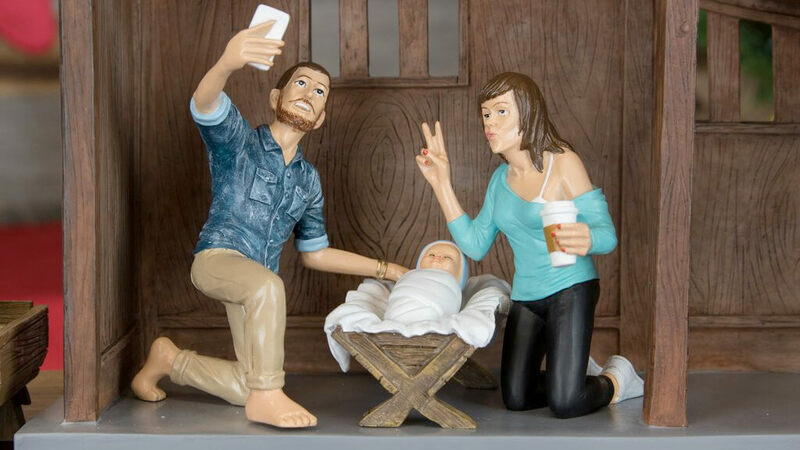 Available to purchase on their website for $129.99, the set depicts Mary and Joseph taking selfies with baby Jesus, while drinking a takeaway coffee. Joseph looks positively dashing with his designer beard, stylish man bun and finest denim shirt. 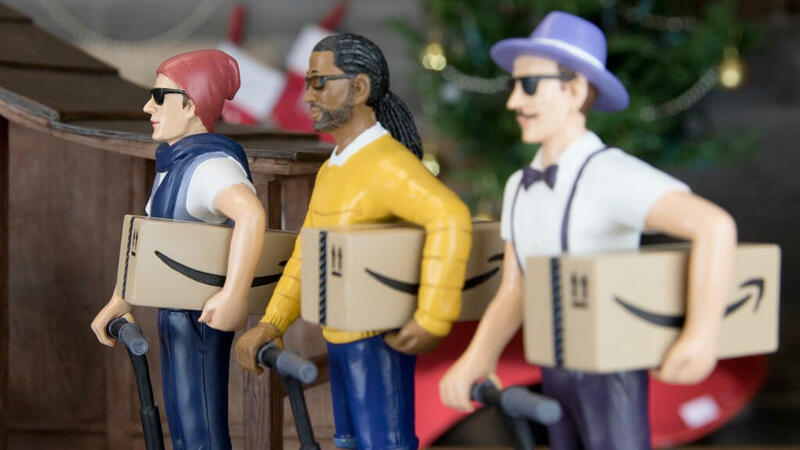 Then of course there’s the three wise men – who turn up on Segways – bearing gifts courtesy of Amazon. 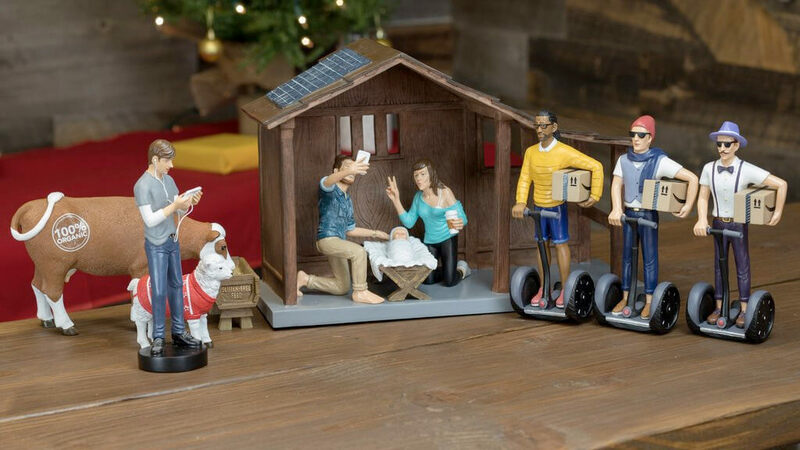 There are even solar panels on the roof of the stable.